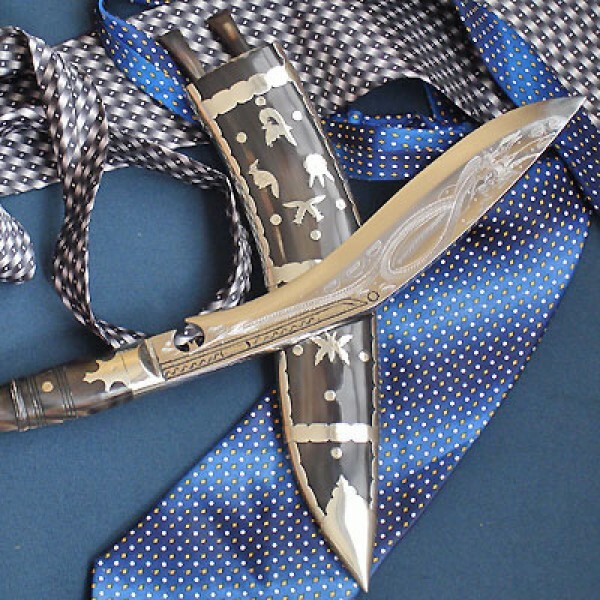 Dhankuta is village name that is situated in the eastern part of Nepal and this type of Khukuri is made there, hence it is called Dhankute Khukuri. 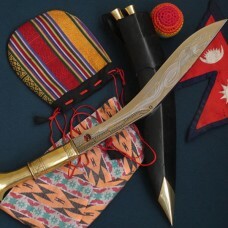 A stunningly beautiful scabbard that is crafted of horn and hand inlayed brass depictions of Nepal's national symbols such as King's crown, National Flag, National Bird, Danfe, Gurkha insignia; crossed Khukuri, National Fish etc. 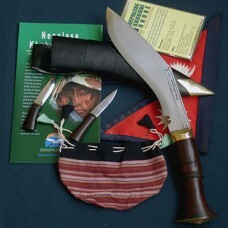 It comes with horn, or brass handle. 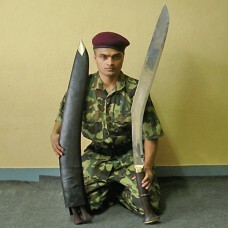 The weight of this Khukuri depends on its size. 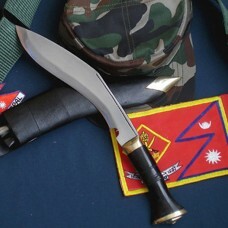 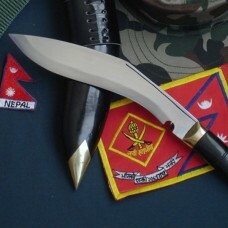 A normal Dhankute Khukuri has 9” blade with 5” long handle. 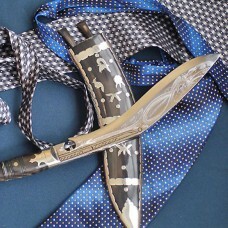 Being a decorative Item, the blade can be engraved with dragon. 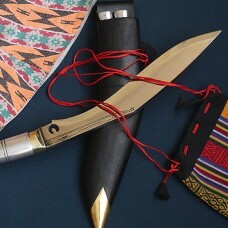 The total shipping weight including display wooden stand with packing will 1.5 kg.